What do you guys all use for coding? I have the Carly app with their OBD2 adapter and has been very use full for coding and diagnostics on my e70. Even offered transmission adaptation reset. Checking on their website it supports the e53 but not as many features as it did on my e70. I looked into Carly and several similar apps - found that they either didn't work for my 4.8is OR I just wasn't confident they would do everything I might want to do. On the flip side INPA, DIS, NCSExpert, etc looked too complicated and/or sourcing the download was a bit sketchy. I opted for PA Soft with the BMW Scanner 1.4.0 tool from xcar360.com. I read that this was a easier software to use - but still powerful enough to read errors, code, etc. Seemed like the perfect happy medium. Cost less then $20 USD shipped from China. Showed up in a week or two. The BMW Scanner 1.4.0 OBDII tool and cable arrived as expected. The PA Soft software had to be downloaded from their site and installed on an old PC laptop. Took a few tries and some research on a few forum posts to get it configured correctly with my USB ports (since I don't use Win 7 the software was built for). But eventually got it all setup. I've used it this last week to turn off my DRLs, code my temp gauge to be more accurate and to disable/enable several other convenience features. Plenty of other users, posts and tutorials floating around for help. Overall it's worked great and no complaints. Last edited by fishhouse4; 08-22-2018 at 08:55 AM. Lovely view in the driveway today. It sure is amancuso. It sure is. 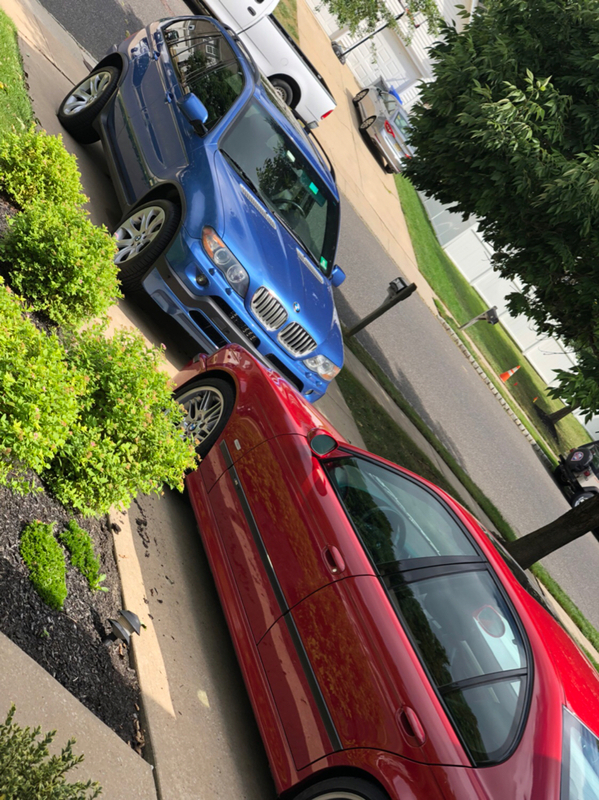 01 E39 530i - SOLD ! My new to me '06 4.8. Clean! Which Michelins are those? The new A/S3 NSpecs? Very nice sidneyJ. Wish my imola was that clean. Mine is at 95K miles. Love driving the thirsty machine.